In all examples of EMF, the energy field causes a change in everything it encounters. EMF (or ElectroMagnetic Field) is a broad term which includes electric fields generated by charged particles, magnetic fields generated by charged particles in motion, and radiated fields such as TV, radio, and microwaves. Electric fields are measured in units of volts per meter or V/m. Magnetic fields are measured in milli-Gauss or mG. The field is always strongest near the source and diminishes as you move away from the source. These energies have the ability to influence particles at great distances. For example, the radiation from a radio tower influences the atoms within a distant radio antenna, allowing it to pick up the signal. Despite the many wonderful conveniences of electrical technology, the effects of EMF on biological tissue remains the most controversial aspect of the EMF issue with virtually all scientists agreeing that more research is necessary to determine safe or dangerous levels. Iron, necessary for healthy blood and stored in the brain, is highly effected by EMF. The permeability of the cell membrane of our nerves, blood vessels, skin, and other organs is effected. The intricate DNA of the chromosomes has been shown to be effected by EMFs as well. In fact, throughout our bodies, every biochemical process involves precisely choreographed movement of EMF-sensitive atoms, molecules, and ions. After more than 25 years of intensive study, the health and safety conscious Swedish government has established a safety limit for exposure to ELF magnetic field at 2.5 mG, and VLF magnetic fields at only 0.25 mG. Although the U.S. government has been slower to act in establishing its own standards, the Swedish standard is generally accepted throughout the world. What this possibly means is that if someone consistently experiences exposure which exceeds the standard, that person could be at risk for developing health problems which can range from headaches, fatigue, and dizziness to skin rashes, miscarriage, leukemia, and cancer. 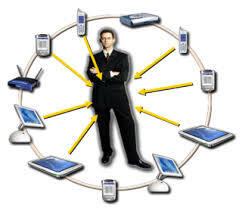 In fact, numerous court cases where plaintiffs claim to have been injured by EMFs are now in progress. Even though the controversy of conflicting scientific studies persists, it seems strange that cigarettes and alcohol are packaged with warnings we already know about, and the sodium, fat, and cholesterol content of foods must appear on the labels, but NO ONE TELLS YOU THAT THE AVERAGE HAIR DRYER, VACUUM CLEANER, OR CAN OPENER YOU USE EMITS AN AMAZING 300 mG OR MORE!!! What Can You Do About EMFs? The Office of Technology Assessment of the Congress of the United States recommends a policy of “prudent avoidance” with respect to EMF. Prudent avoidance means to measure fields, determine the sources, and act to reduce exposure. • Determine how far you must stay away from the EMF emitters in your home & work environment to achieve less than 2.5 mG of exposure… the microwave oven, the alarm clock, the computer, and so on. they may be required to re-route the power lines, move them higher, or bury them. • Turn off, don’t use, or throw out electrical appliances that you can do without! • Have an electrician correct faulty high EMF wiring and help you eliminate dangerous stray ground currents. Consult a qualified EMF engineer if necessary. the keyboard is idle for a short while. To “wake up” the monitor, simply touch the keypad or mouse. Note: this is better than Screen Savers, which do not reduce radiation or power consumption! This may only be available in some Windows 95/98 computers. clothing if you must be exposed to EMFs. • you can reduce the EMF exposure from your hair dryer 90% or more by arranging to hang the dryer on a wall hook, get a flexible plastic hose for the nozzle, and direct the hot air to your head with the hose! • the Wall Street Journal reported in 1993 that the real estate resale value of homes decreased by as much as 30%, if exposed to EMFs! • that electric fields are measured in units of volts per meter (V/m) and magnetic fields are measured in units of Gauss (G) or Tesla (T). 1 tesla = 10,000 gauss. • microwaves are within the upper part of the radio frequency part of the electromagnetic spectrum? Radio frequencies range from kilohertz (thousands of cycles per second) to gigahertz (billions of cycles per second). Check your microwave oven for leakage! • epidemiological studies in Sweden by Maria Feychting showed that individuals exposed to high magnetic fields at home and at work had 3.7 times the risk of developing leukemia compared to those not exposed. • that 2 recent research reports have identified elevated risks of breast cancer among women working in jobs with presumed higher than average exposure to EMFs. the installers can circumvent local planning boards. • the electromagnetic radiation from 4 watt walkie-talkies and 0.6 watt cell phones can cause medical life support equipment (such as infant apnea monitors) to malfunction? about what this means in schools and offices with rows of terminals. Suggest computer shielding to your employer and school board. • when shopping for appliances, those with a higher EER (energy efficiency ratio) generally produce lower EMF levels and are therefore safer! • one study (Ahlbom & Feychting, 1993) reported that at 2 mG and above, exposed children were 2.7 times as likely to develop cancer as unexposed children, and at 3 mG and above, the odds rose to 3.8 times as likely! • another study (Wertheimer & Leeper, 1986) stated that couples who use either electric blankets or electrically heated waterbeds had a significantly higher miscarriage rate!